It’s peak deer season across Kentucky. That includes mating and hunting, as well as a spike in car accidents involving deer. During 2014, State Police Public Affairs Officer Kendra Wilson says there were more than 3,000 vehicle-deer collisions in Kentucky. She says three people died in those crashes. Wilson says deer are found along all roadways. “It’s not limited to interstate travel," she said. "It’s not limited to back roads or rural areas. 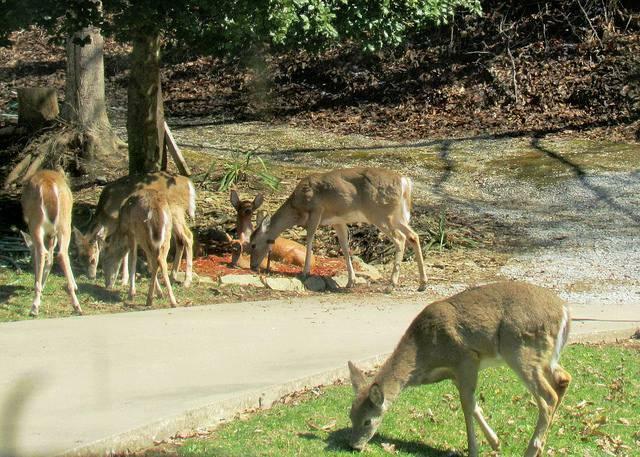 Deer just saturate our areas just about everywhere." Wilson advises motorists to slow down around dusk and dawn, continually scan along the sides of the road, and wear seatbelts. “Make sure that you are seat belted in because the deaths that usually occur from any kind of collision with animals are usually because the occupant is not seat belted in,” added Wilson.